This is one of the items I received in my goody bag from the #bootscamp Twitter party. 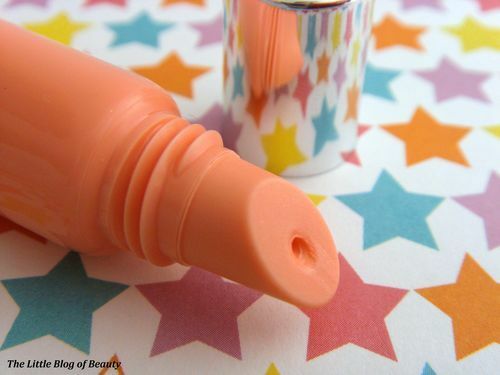 We’ve all heard of BB creams by now but I haven’t personally come across BB lips before and to be honest I wasn’t really quite sure what BB lips would mean. However, after having given this a try I think I understand a little more what they mean by this. The packaging is really sweet and compact and hardly takes up any room in your bag. This comes with a slanted plastic applicator as part of the tube. What I do like about this is that it contains SPF 15 as I often completely forget about sun protecting my lips and obviously you can’t really keep your lips out of the sun unless you never leave the house. Tomorrow I’m heading to Alton Towers for a friend’s hen doo and as I’m sure you’re all aware it’s set to be a scorcher of a day so I think I’ll be popping this in my bag to make sure my lips are well looked after. 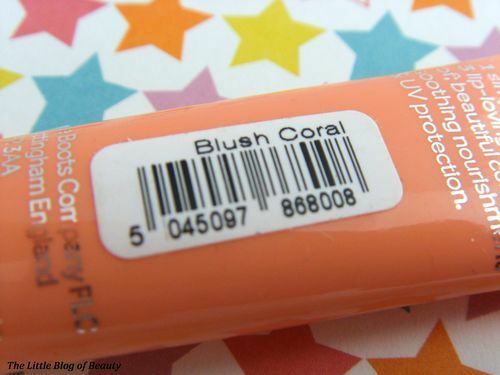 The shade I have is Blush Coral and I think this is a pretty good name for this shade, which is a nice light coral peachy colour. This is kind of a cross between a tinted lip balm and a lip gloss. 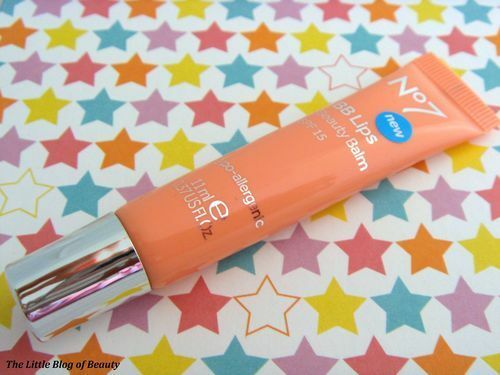 It’s thinner than a lip gloss and although it’s not ‘glossy’ it does have a nice shine to it and it’s not at all sticky. Now this is a light shade and as I’ve mentioned recently light shades of lip gloss usually don’t show up very well on me (they just look like a clear gloss) but I found that this did have a kind of BB effect on my lips. Although you can’t see very much colour on me it does appear to even out the skin tone of my lips. I have a freckle on my bottom lip which you can normally see quite well if I haven’t got lipstick on but the BB balm evened this out and you couldn’t see it. I may not be explaining this very well, but basically I really liked this (and I’m obviously not the only one as they have a full 5 star rating on the Boots website!). 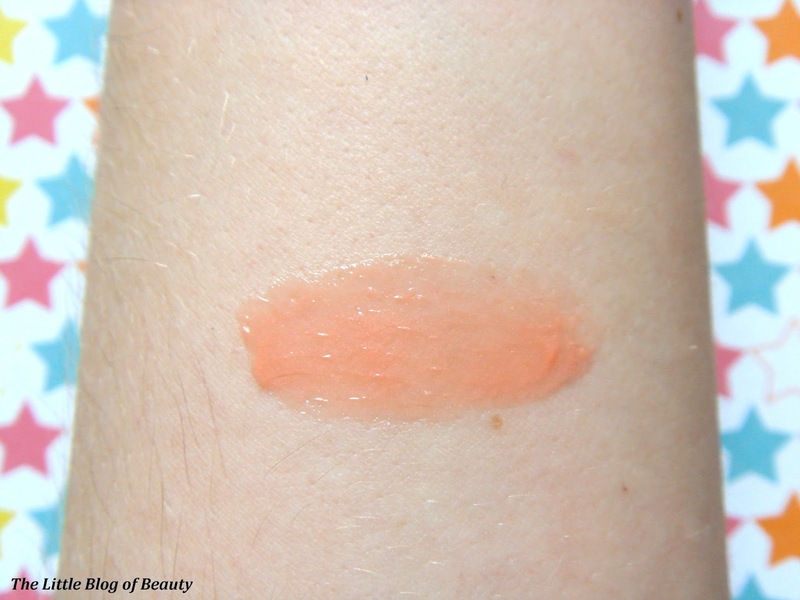 As a balm/gloss type product this doesn’t last particularly long, maybe a couple of hours, but it’s so compact and easy to apply (no mirror required, for this shade at least) you can just pop this in your pocket or handbag and apply as often as you want. As I currently have a No7 £3 off makeup voucher I think I may pick another one of these up in either Berry Rose or Belle Pink. 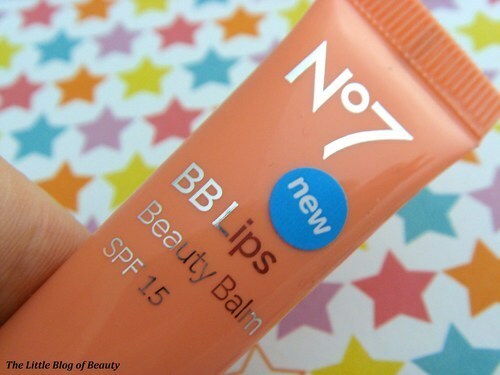 No7 BB Lips are available for £8.50 from Boots.